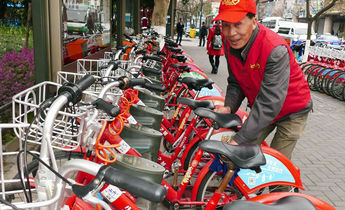 The bicycle has seen a dramatic fall in popularity in China in recent decades. In the period 1978-1996, it’s estimated that 45% of urban commutes were on two wheels, declining to 35% between 1995-2002, and to 10% in big cities in later years. But some Chinese cities are now trying to stop this decline by building dedicated cycle lanes to encourage people to get on their bikes again. These new expressways allow riders to commute quickly whilst protecting them from car users and other traffic on bustling roads. China’s first elevated bike lane and the world’s longest at 7.6-kilometres is the Yunding road bicycle expressway in the south-eastern province of Fujian, which is now a little over a year old. 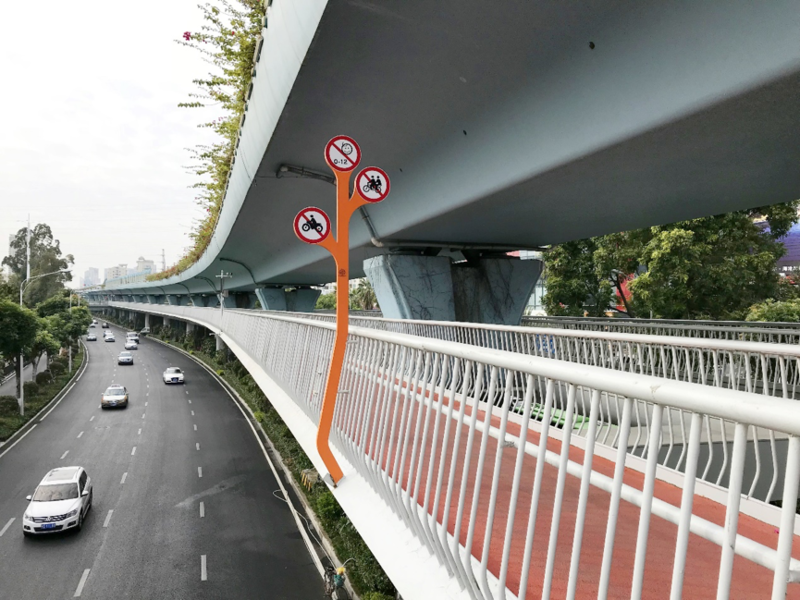 What’s special about Xiamen’s expressway is that it is fully elevated, segregated from other traffic, and off-limits to pedestrians, electric bikes and three-wheelers. This makes it the first piece of infrastructure in China aimed solely at cyclists. The expressway uses space below the elevated roads of Xiamen’s Bus Rapid Transport. It sits five metres above ground and has two lanes, each 2.5 metres wide. 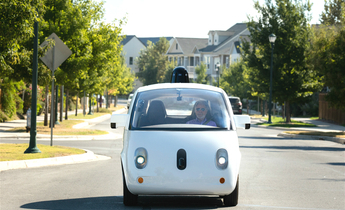 It connects numerous residential areas, important public buildings, parks and schools. By July 2017, 410,000 journeys had been made on it, an average of 4,000 a day, according to its builders. The busiest day saw 12,000 trips. In November 2017, it was awarded the China Residential Environment Prize. The idea of bicycle expressways originated in the United States and Europe, but Chinese cities have become a lot more interested in them following years of urban planning that has focused on cars and mass transit. In 2013, the housing ministry published guidelines for planning pedestrian and bicycle infrastructure, which discussed bicycle expressways for the first time. Xiamen’s expressway is China’s first attempt at this type of infrastructure. As there were no regulations in place to guide its construction, the local government referred to overseas research and consulted with international organisations before putting together China’s first technical standard and management norms. Bicycle expressways can undoubtedly rival other forms of transport for speed. Tests by the Institute for Transportation and Development Policy found that elevated expressways free of intersections, traffic lights, pedestrians, bus stops and parked cars, allow bikes to travel at 25-30 kilometres an hour – faster than the average speed of cars during rush hour in ten of China’s most congested cities. But Xiamen’s all-elevated expressway has also caused controversy because of its high cost and low utilisation. ITDP found the raised expressway in Xiamen was used less than bike lanes at ground level, which are open to electric bikes. This may be because the expressway is still being developed and does not cover all locations that people want to commute to. The closed-off nature of bike expressways does not always meet the need for short and medium-distance point-to-point journeys. It may also take time for people to become familiar with the new infrastructure and be willing to use it in different types of weather. There is also a lack of high-level government support for such infrastructure, meaning cities have been on their own to plan and construct them. As Chinese cities embark on more bicycle expressways, it’s hoped that schemes in the US and Europe can help inform best practice. Expressways are normal in many bike-friendly cities and countries: London has Cycle Superhighways, Holland its F25 High-Speed Cycle Route, Germany the RS1 bicycle highway, and in Bogota, Colombia, there is the Juan Amarillo Greenway. What’s clear is that the most important feature of a bicycle expressway is exclusive road rights – a physical separation from other forms of transport to avoid interference and ensure safe travel at speed. When overlap is unavoidable, such as at junctions or river and rail crossings, traffic lights specifically for bikes are put in place or tunnels are built. Also, the road surface should allow for comfortable and convenient journeys. The smoothness of the road surface, gradients, and the number of points the expressway reaches all need to be considered. But if the bicycle is to make a return to our cities, expressways aren’t enough – a complete bicycle transportation system is needed. The point of promoting bicycle expressways is, after all, about getting more people to use bikes and other green transportation options, reducing urban congestion and pollution, increasing the vitality of urban spaces and bringing about healthy and more sustainable urban development. China’s guidelines for the design of pedestrian and bicycle infrastructure define “exclusive” bike lanes and three classes of shared bike lane. The problem is that cities are focusing on lanes that give greater priority to bikes when they need to focus more on “capillary” bike lanes that provide access to communities and businesses. It is often here that a lack of space, lack of road rights and illegal occupation of roads creates chokepoints for bicycles, which puts people off from cycling. A complete bicycle transportation system also needs comprehensive support at the strategic planning level. Denmark, which is recognised as a global leader in this area, has a population of about 5.6 million people – and 4.5 million bikes. In fact, 20% of commutes in Denmark are made by bike. 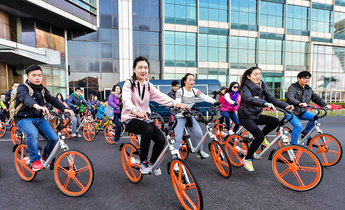 According to research by the China Academy of Urban Planning and Design, the elevation of bicycle transport to the level of a national strategy was essential to create these conditions, despite the impact on motorised transport. That national strategy included three targets: the use of the bicycle for easier journeys and a cleaner environment; enjoyable and healthier lives and new experiences; safe trips to school, and enjoyable journeys and a better transportation culture. The strategy was comprehensive, covering urban planning, infrastructure, bicycling culture, operations and maintenance, public participation and financial incentives. Alongside focusing on infrastructure, Chinese cities must bolster systematic research and planning like this if they are to bring about an increase in bicycle usage. Bicycle expressways are appearing all over China. In 2016 Beijing started looking into an expressway between Huilongguan and Shangdi, site of the Zhongguancun Software Park. Plans have now been approved and the expressway is due to open in 2018. In 2017 Guangzhou started looking at ideas for dedicated bike lanes and Chengdu has started planning a 100-kilometre expressway through its greenbelt, which would allow travel as fast as 60 km/h. The mayor of Bogota, Enrique Penalose, once said that bike lanes show that the person on a $30-dollar bike is as important as the person in a $30,000 car. 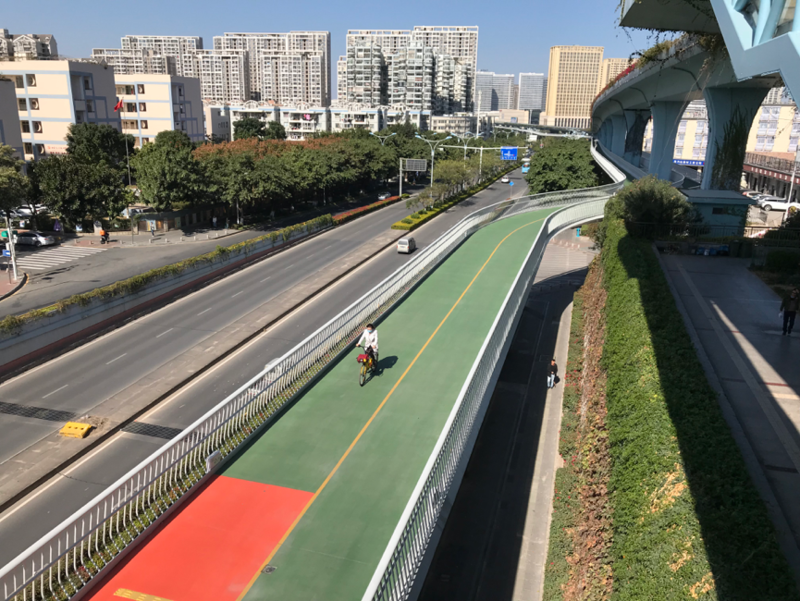 It is hoped that bicycle expressways like that in Xiamen and the newly popular shared bike schemes, will bring bikes rolling back in to the cities and change car-centric attitudes. 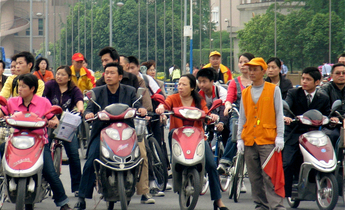 Getting people back on bicycles can restore China’s reputation as the “Kingdom of Bicycles”. Deng Han is NMT (non-motorised transport) and urban development program engineer at the Institute for Transportation and Development Policy’s China office. 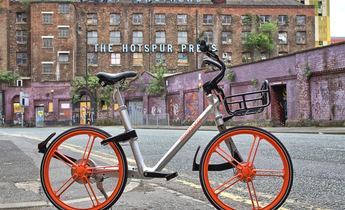 Bike-sharing schemes: Flourishing or running riot?